In preperation for the hike of the Israel National Trail, we need some maps. in the following article we will present all the avilable resurces (in English) that can help you best plan your trip. A few years ago Google decided to add the israel national trail to it's Google Street View feature. Volunteers had walked the trail with special gear (can be seen in the big header picture) and now you can take a "virtual hike" before you take the actual one! we know it is not that helpful in order to plan the trip, but it's just really cool! Using several sources we have created this simple map, with the Israel National trail marked in green and the Golan trail marked in blue. It can be quite helpful for getting to know the trail and it's routh. Please feel free to copy this map to your own google drive and mark your progress / planning. 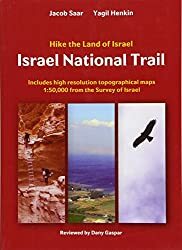 The Society for the Protection of Nature in Israel (SPNI) create and sell high quality topographical maps of the entire country of Israel, with marks of all hiking trails. Unfortunately, there is no English version of the maps, meaning you must know some Hebrew in order to use it. Also, keep in mind that in order to cover the entire INT you will need to purchase around 17 maps, costing 89 ILS each. You can order the maps directly from SPNI's website. If you are currently in Israel, each month the trails committee do a briefing on hiking the Israel National Trail. The maps are also available at a discount at these briefings. In case you need some further explanation on How to read a topographic map, please check out this guide. If you are planning to hike the INT, we recommend that you look at this book. 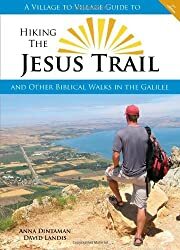 The guide includes 55 topographical maps (1:50,000), 7 road maps (1:250,000), and description and maps (1:15,000) of the Jerusalem Trail - All you need in order to plan & walk the trail. Saar's guide book is a must-have if you are planning to hike the trail. Besides excellent planning and logistics information, you will use the book on a daily basis as you walk the trail! For every day's hike, the book provides clear instructions with additional historical & geographical background. It includes all the English maps you need, so there is no need to purchase separate maps. You will aso find camping and lodging tips for each section of the trail. you can read more about this trail Here. What else to expect - Updates on trail changes, news and special offers! We take your trust very seriously; therefore we will never forward your mail address to anybody else or send you content that will waste your time.